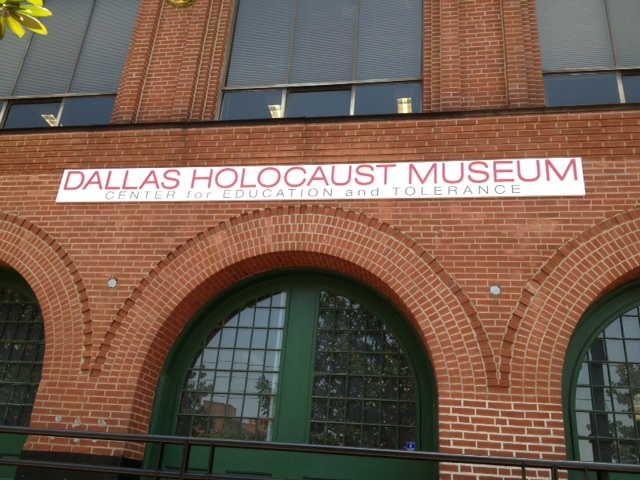 People often ask me about the purpose of the Dallas Holocaust Museum, and I’m quick to respond that we teach the importance of standing up to counter hatred and prejudice. Shaping minds and positively affecting behavior is at the core of our mission. With all that is happening in the world today, including the strong emotions and rhetoric raised by the 2016 Presidential Election, our work is more important than ever. Next week, the Museum, the Dallas Independent School District, and Jewish day schools from around the region will host the first-ever, privately-funded “City-Wide Read and Performance” at Fair Park Music Hall. More than 12,300 students from 153 DISD Schools and local Jewish day schools—along with 500 educators—will engage with an innovative, interactive and creative Holocaust education program based on the book, The Children of Willesden Lane. 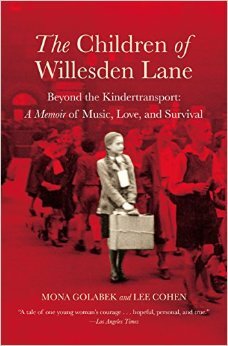 The book tells the true story of a young Jewish girl who used her musical talent to find her way in her new home after escaping the Nazis as a passenger on the Kindertransport. The unique “City-Wide Read and Performance” project began more than a year ago when the Museum discussed the idea with the book’s co-author, the concert pianist Mona Golabek. Similar programs produced amazing results in 20 cities across the U.S. with a total of 150,000 student participants. In Dallas, the program quickly gained traction through the generosity of a Dallas resident who cares deeply about children’s education and underwrote the project cost. That donation, which was a matching gift that attracted other donors’ generosity—along with the work and dedication of event co-chairs Helen Risch and Ynette Hogue—made this program a reality. Last summer, the Museum’s education team provided age-appropriate Holocaust education training and curricula to 500 English, History, Art, and Performing Arts teachers, librarians and administrators. At the start of the school year, each DISD fifth grader received a complimentary copy of the book, excerpts of which they read during their Social Studies, English Language Arts and ESL classes. They were also encouraged to read with their families at home. In October, students expressed their feelings about the book and the Holocaust in their art and performing arts classes. From Monday to Wednesday of next week (November 14th to 16th), the project culminates with a performance by Mona Golabek. She will present a series of interactive concert performances for more than 12,300 students at the Music Hall. Character education is at the core of the “City-Wide Read and Performance,” and this, in turn, impacts children’s emotional, moral and intellectual development. The program will yield huge dividends for the children in attendance, their families, and our communities. Higher academic performance, improved attendance, reduced violence, fewer disciplinary issues, reduction in substance abuse, and less vandalism are reported as outcomes of a sustained focus upon character education. Students have also reported feeling safer at schools in which they and their peers are taught the value of respect, responsibility, compassion and hard work. From a practical perspective, it’s simply easier to teach children how to exercise patience, self-control, and diligence. We know from independent studies on the impact of a student’s visit to the Museum that if we can reach students at an early age, we can inspire them to become Upstanders—people who stand up and speak up for what is right, even if, at times, they stand alone. Children’s author Louise Borden was, well, curious. In 1995, while reading Publisher’s Weekly, the trade magazine of the book industry, Ms. Borden ran across an item about Margret Rey, the writer and illustrator known best for the Curious George series of children’s picture books that she and her husband, H.A. Rey, created from 1939 to 1966. The short item noted how the Reys had escaped Paris in 1940, just ahead of the Nazi invasion of France, on bicycles and carrying a backpack with the manuscript of what would become the impetus for the first Curious George book. The notice stirred the curiosity of Ms. Borden. Had the Reys’ escape from wartime France ever been written about before? What route had the Reys followed to make their getaway? How did the Reys eventually end up publishing their series of books with one of the leading publishers in the U.S.? So begins the story of author Louise Borden’s journey that concluded with the 2005 publication of The Journey That Saved Curious George: The True Wartime Escape of Margret and H.A. Rey (now available in paperback from HMH Books for Young Readers), which chronicles the real-life escape of the Reys. Ms. Borden was the special guest speaker on Feb. 12 at the opening reception for the new exhibit. “I love the world of children’s books, and I loved telling this story,” Ms. Borden told a crowd of about 85 people who attended her presentation in the Museum Theater. 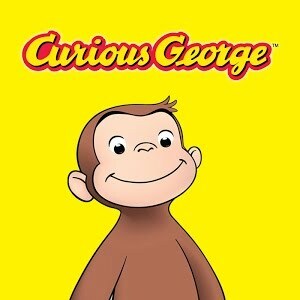 Curious George first appeared in 1941, published by Houghton Mifflin. The book begins with George living in Africa and tells the story of his capture by the Man with the Yellow Hat, who takes him on a ship to “the big city” where he will live in the zoo. Six other “original series” titles followed, and today, the books, which include more modern story lines, have sold more than 30 million copies in multiple languages. The Reys were German-born Jews who most assuredly would have been captured by Nazis and deported to concentration or death camps. In her presentation, Ms. Borden traced the Reys escape from Paris, through Spain, to Portugal, to Argentina and eventually to New York City, where the Reys lived in Greenwich Village to be close to their publisher and, later, following huge success with the Curious George book line, in Cambridge, MA near Harvard Square and at a charming New Hampshire farm. Most of the research for the book on the couple’s wartime escape took place at the de Grummond Children’s Literature Collection at the University of Southern Mississippi in Hattiesburg. When Margret Rey died in 1996 (Hans had died in 1977), her will designated that the entire literary estate of the Reys be donated to the de Grummond Collection. In 1966, Dr. Lena Y. de Grummond, a professor in the field of library science at USM, had contacted Mrs. Rey about the university’s new children’s literature collection and, well, the rest is history. Many fascinating angles emerged from her research, Ms. Borden said, including the fact that Curious George had first been named “Fifi. In 1939, the Reys had signed a contract with the French publisher Gallimard for “Fifi” and other stories. As it turned out, the cash advance the couple had received would later finance their escape to South America. In October 1940, the Reys sailed to New York, settling first on Long Island with relatives before moving to Manhattan. A year later, the book about “Fifi,” who had been renamed “George”—the publishers thought it a more appropriate name for a male monkey—first appeared. “George was a name that would become memorable for generations to come,” Ms. Borden said. And so it remains. -Get Curious at the Dallas Zoo, Feb. 22, 2015, 11 a.m. and 2 p.m.
-Spring Break with Curious George at the Museum, March 9-13, 11 a.m.
-Get Curious at Klyde Warren Park, Sunday, May 3, 2 p.m.
-Art Competition for Student Groups: Reception & Judging, May 10, 10 a.m.
A special Teacher’s Workshop is also planned for March 12. More information on the workshop may be found on the Museum website. The Benefactor Sponsor for the event is Fox Rothschild LLP. The Friend Sponsor is the Janis Levine Music Women and Children’s Endowment Fund of the Dallas Jewish Community Federation. Community Partners include the Dallas Zoo, Klyde Warren Park and the Dallas Theater Center. This project is supported in part by an award from Mid-America Arts Alliance, the National Endowment for the Arts, the Texas Commission on the Arts, and foundations, corporations and individuals throughout Arkansas, Kansas, Missouri, Nebraska, Oklahoma, and Texas. *Please note that the Museum’s core exhibit is recommended for children age 11 and older. The Museum’s current exhibit, A History of the Kindertransport, now through Feb. 28, features the story of Dallas resident Magie Furst and her brother, Bert, who were both saved through the British rescue operation. On Feb. 2, Magie told her story to a standing-room only crowd of 140 Museum members and visitors. This is the story she told. In 1932, Alfred and Sida Romberg were proud parents of a daughter and son born just a year apart, living a wonderful life in the small German village of Astheim, near Nuremburg, where they owned a general merchandise store. But a year later, following the appointment of Adolph Hitler as German Chancellor, the Romberg’s tranquil life became a nightmare. Before 1934 came to an end, Alfred Romberg was dead—a heart attack brought on by stress from aggressive perpetrators. The Rombergs were upstanding citizens once beloved by the entire village. But all that changed when Hitler’s Nazi party came to power. The Rombergs were Jewish. Following Alfred’s death, Sida Romberg was left alone to raise 5-year-old Magie and 4-year-old Bert. When the anti-Semitism worsened, Sida was forced to sell the store for a fraction of its value and moved the children to the larger town of Eshwege, Germany, where other family resided. The years in Eshwege were brutal, recalled Magie, now 84. “Those were bad years, because Hitler was in full force already. We had restrictions on going to school. We went to an all Jewish school until some of the teachers emigrated. And then after Kristallnacht (Nov. 9-10, 1938), we didn’t have school anymore…the Hitler youth, they went after us whenever we went out. Following Kristallnacht— a series of coordinated attacks against Jews throughout Nazi Germany and parts of Austria, carried out by SA paramilitary forces and non-Jewish civilians (the German authorities looked on without intervening)—Sida Romberg knew her children had no future in Germany and set out to find visas for them to leave Germany. At the time, Germany was still issuing visas to Jews and others who could prove they had relatives or a sponsoring organization in another country. When her mother learned of the Kindertransport program, a rescue mission that took place during the nine months prior to the outbreak of the WWII, she seized the opportunity to send her daughter and son to the United Kingdom, which took in nearly 10,000 predominantly Jewish children from Nazi Germany, Austria, Czechoslovakia, Poland, and the Free City of Danzig. Children of the Kindertransport were placed in British foster homes, hostels, schools and farms. In an extraordinary stroke of good fortune, Sida Romberg received permission to work as a domestic servant in England. The three of them prepared to leave for England together. Saying goodbye to her grandmother, Magie said, was one of the most painful moments of her life. 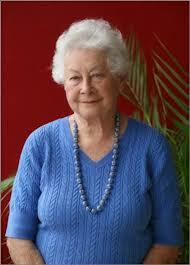 Her grandmother had been a source of stability and comfort, following the sudden death of Magie’s father, Alfred. Tragically, the Nazis would eventually remove her grandmother from a home for the elderly and deport her to Auschwitz, where she was murdered. On May 23, 1939, Sida Romberg and her two children arrived in England, but once there were separated as Sida did not earn enough to support herself and her children. Bert was placed with a wonderful family. Magie did not fare so well. “I became a cheap maid in a family headed by an abusive man,” she said. After a month of suffering, Magie was sent to an orphanage to live. While the war years in England were tough, Magie said she, Bert and her mother were eternally grateful to the people of Great Britain. “They opened their hearts and homes to us when no other country—not even the United States—would do so,” she said. Sida Romberg never gave up hope for reuniting the family, and in April, 1945, just a month before the formal end of WWII, the three Rombergs received visas to emigrate to the U.S.
“There is no country like the United States in this world,” Magie said. Settling in the New York City metro area, the Rombergs thrived. Eventually, Magie would marry and accompany her husband in 1963 to the Dallas area. Three years later, Bert also moved to Dallas after receiving a great job opportunity. Wishing to be near the children she sought so valiantly to protect, Sida Romberg also made the move to Texas. As she reflects on her rare experience as a rescued child of the Kindertransport, Magie is grateful for being spared the horrors of war even though the separation from loved ones was difficult. And, she feels obligated to share her story as a regular speaker before student groups—sometimes three and four times a week—who visit the Museum. “A History of the Kinderstransport” exhibit is made possible by the generosity of Ann Donald Zetley & Florence and Howard Shapiro in Loving Memory of Martin Donald. The Museum has installed a new sign on the Pacific Street/DART side of the building at 211 N. Record Street. The 16-foot long sign (and 16 inches tall) meets the exacting historical proportions required by Dallas city ordinances governing the West End Historic District. The sign, which uses high performance cast vinyl lettering, provides new and needed visibility for Museum visitors who park in adjacent parking lots. The sign took months of planning and one day to install. The Anne Frank: A Private Photo Album exhibit which opened on December 1, 2012 at the Dallas Holocaust Museum will close on March 31, 2013. In the three months that Anne Frank was with us—and it did feel as if the impishly wise thirteen-year-old was truly with us—more than 22,000 visitors toured the Museum. Even though you are not here anymore, I want you to know how big of an inspiration [you are] to us kids. When I started reading your diary (I hope you don’t mind my reading it)… it inspired me, too. Thank you so much. Jade. As the closing looms, there are now more than 25 journals full of entries. The power of Anne Frank to feather a child’s mind and lead them to a rudimentary understanding of the world’s greatest display of inhumanity, inspired DHM/CET to create its first curriculum trunks. The Anne Frank curriculum trunks provide teachers with tools to enhance the richness of their programs and lessons to foster creativity and discussion in the classroom. Some of the contents are specifically related to the “Anne Frank: A Private Photo Album” temporary exhibit, such as the teacher guide to the exhibit. However, there are also two graphic novels based on Anne’s story, three DVDs, and a number of books, all selected by our Education Department to inspire the students relate to Anne’s story in new ways. 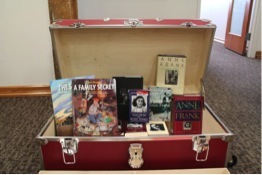 Of course, the trunks also come with a copy of Anne Frank: The Diary of a Young Girl for each student in the class. The Dallas Holocaust Museum’s Anne Frank Curriculum Trunk which is loaned free to DFW area schools.